The M. Louis Salmon Library is pleased to offer OCLC's Tipasa for the placing of your interlibrary loans. The Salmon Library has been selected to be an early adopter of this cloud based Interlibrary Loan software. 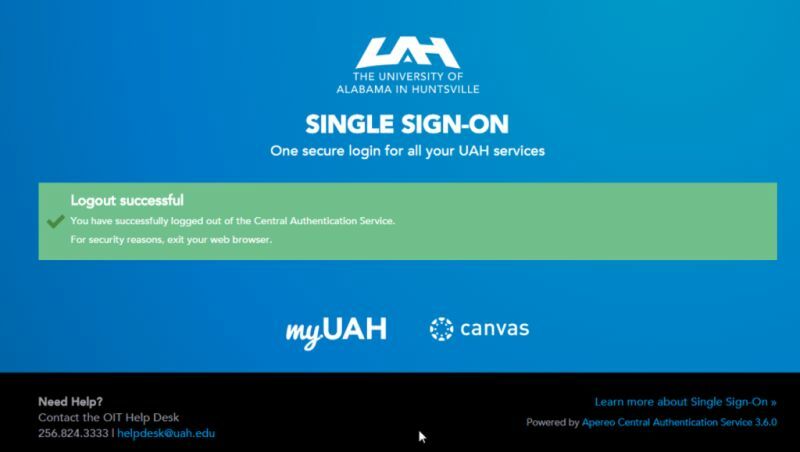 To place your ILL book and article requests we use UAH's Single Sign-On, the one secure login that you use for all your UAH services such as Canvas, MyUAH, etc. You will be able to request books, articles, chapter from books, DVDs, scores, CDs, etc. Besides being able to request books and articles you will be able to keep track of your requests. 1.Check the status of your requests (new ones, ones awaiting processing). 2. Electronically receive your requested articles. 3. See canceled requests (either ones you have canceled or ones canceled by our ILL staff). 4. Check the history of your past requests (ones that you have received). 5. See all your requests (new, canceled, in process, finished, delivered). 6. See a list of notifications (emails) that you have received for your requests. If you have questions or problems please contact the ILL department at: 256-824-6124 or illuah@uah.edu. NOTE: If you are having problems logging into the system, please contact the OIT Help Desk at 256-824-3333 or helpdesk@uah.edu. Thank you. After hours, please leave voice mail or use email. How long does it take to receive a requested book? Allow 10 to 15 working days for the arrival of requested books as these are shipped by U.S. mail, UPS, or FedEx. It may take longer depending on how many libraries own the title. How long does it take to receive a requested article? Some articles may arrive within 24 hours but others may take up to 7 to 10 working days. This depends on how many libraries own that particular journal title. We do not request textbooks for current classes. The ILL loan period averages 28 days or less which is not long enough to be used for a semester class period. The interlibrary loan department engages in free or low fee interlibrary loan borrowing for all patrons as much as possible. Charges for ILL are not passed to patrons, but borrowing charges that exceed $25.00 per item may cause requests to be unfilled. Every effort is made to see that ILL requests are filled. Please be sure that you pick up all requested materials when notified as it costs the library and university money to provide this service. If you do not pick up your requested materials or notify us that you do not need them, you may be charged a $5.00 fee.